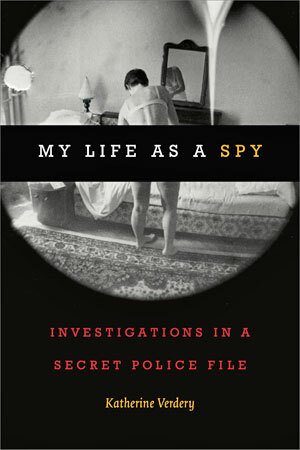 I tried to finesse this question by putting the most important things at the beginning: a surveillance photo of myself in my underwear, a preface beginning with the sentence I quoted in question 1, and a brief account of how I came to resemble a spy early in my work because I rode my motorbike into a military base. Other than these, among my favorite passages is the section in which I describe what life was like during my research trip in the austerity-driven years 1984-85 (pp. 139-50), including some jokes people were telling at the time and some splendid stories about how people struggled to make ends meet. I like this passage because it shows Romanians’ marvelous capacity to face adversity with humor, a trait that caused me to return over and over to that wonderful country despite its ugly government under Nicolae Ceausescu. Another favorite is the passage that includes my conversations with a friend I call Mariana (pp. 233-244), which I think shows the complexity of a person’s becoming an informer for the secret police and some of the psychological complexities of their doing so.